Home » Central Government Jobs » Govt Jobs » Govt Jobs 2015 » Jobs for Scouts & Guides Quota » Jobs in Gorakpur » Jobs in North Eastern Railway » Railway Jobs. 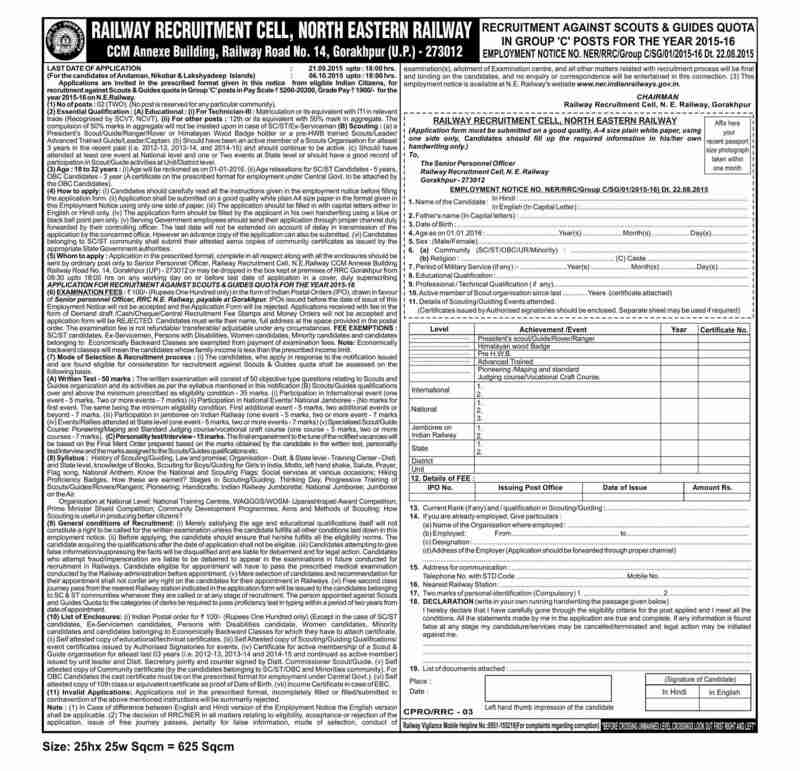 » Scouts & Guides Quota jobs in North Eastern Railway in Gorakhpur. 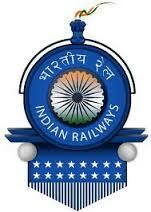 Scouts & Guides Quota jobs in North Eastern Railway in Gorakhpur. Qualifications: Matriculation or its Equivalent with ITI in relevant trade (Recognized by SCVT, NCVT). For other Posts: 12th Class or its Equivalent with 50% Marks in aggregate. Last date for application is 21st September 2015. Labels: Central Government Jobs , Govt Jobs , Govt Jobs 2015 , Jobs for Scouts & Guides Quota , Jobs in Gorakpur , Jobs in North Eastern Railway , Railway Jobs.